I started to amass my ‘collection’ of 35mm color slides in 1961; that is the year in which I bought my first 35mm SLR camera. It was a very basic Pentax H1a model and I soon added a 135 mm telephoto lens. I have since photographed my family, my extended family, friends, all manner of railroad subjects, my mountaineering activities, family vacation trips, museums and all manner of things that interested me. Other than a cursory showing of the slides after the film was developed, nothing was done with the color slides – they were put away in their familiar yellow Kodak boxes and essentially forgotten. I have come to the conclusion the benign storage of the slides, that was the result of this neglect, was the key favorable factor in now my finding the slides to be in very good condition, in spite of their age. I am eighty five years old and have Parkinson’s disease; age has not been as kind to me as my color slides. One year ago my wife died and and her death left me in a bad place with respect to my general health. I felt I needed some activity to direct my thoughts away from the loneliness that comes with the loss of one’s spouse. I am computer literate and I have a capable computer plus a 35 mm film scanner and several years ago I had embarked on a project to organize and scan my railroad slides into a digital format. This scanning project has expanded to include ALL of my slides. This is a time consuming project and that is good for me. This slide project has proven to be a good way for me to come closer to accepting my life as it is unfolding. In fact, the scanning of my slide collection has turned into an ‘ad hoc’ way of confronting the feeling of loneliness that has been with me since my wife died but I have no grand expectation this feeling of loneliness will change for the better any time soon. The best I can bring myself to hope for is a gradual improvement in my mood.The memories of the events of my life with Patty are refreshed by the viewing of images of long past events. It is amazing to me how much I remember of long ago events as I watch the memory-refreshing images reveal themselves on the computer screen. Just as amazing are the times that I have no memory of a particular event that is clearly a part of my life. I do not have a clue as to why my memory is so selective. The feelings that accompany the memory refreshing viewing of the images are of a bittersweet nature for me. These memories flood into my consciousness and they sometimes overwhelm me. However, the continued viewing of these slides remind me of how much I owe Patty for the many good things that have come my way during the life I have experienced so far. 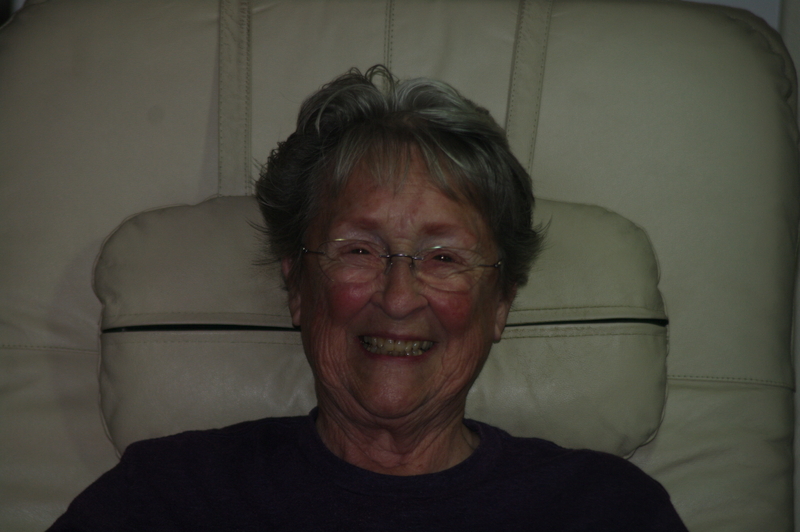 This viewing also has the unfortunate effect of reminding me how much I personally lost when she died – no words can adequately express the sense of loss that I feel, but I also believe having had Patty as my life partner for sixty six years has helped equip me with the strength to cope with my loneliness. Her positive attitude and demeanor, in particular during her final bout with breast cancer, left me with a profound sense of how fortunate I was to have been her husband for sixty six years. 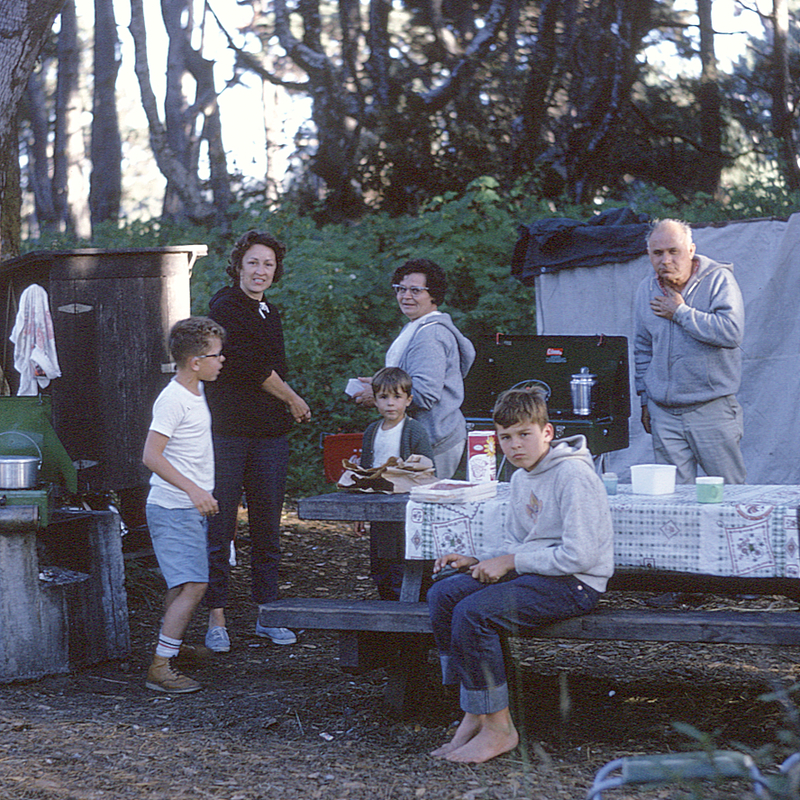 I have been scanning my old color slides to digitize them for storage on my computer. 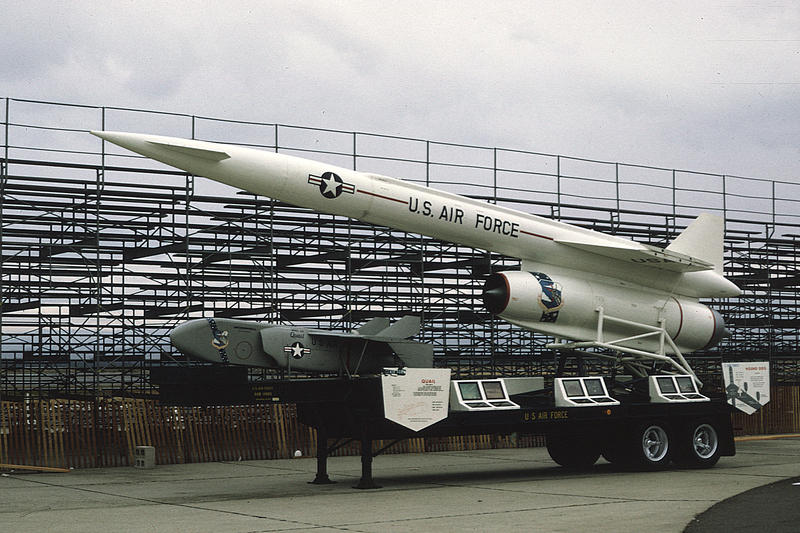 I found a good image of a North American Aviation built ‘Hound Dog’ missile. The missile used an Inertial Measuring Unit (IMU) developed and produced by NAA in Downey, California and I wanted to share the image with my friends. Two of these missiles were carried under the wings of the B-52 bomber as part of its armaments.